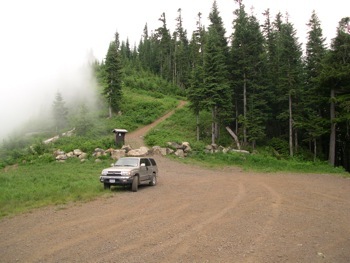 Vedder Mountain area – accessed via paved Yarrow roads and gravel Majuba Hill Connector Rd on the W side of the mountain. Use the paved Cultus Lake Rd and mostly gravel Parmenter Rd for access on the E side. Cultus Lake area (park and campgrounds) – via paved Cultus Lake Rd from Vedder Mountain Rd. Chilliwack River valley – via paved Chilliwack Lake Rd which starts at Vedder Crossing and leads ~50 km E to Chilliwack Lake. 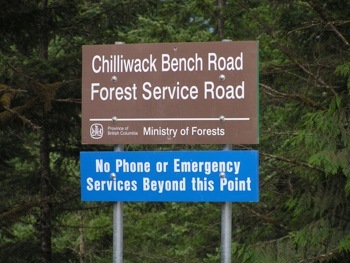 Several forest service roads (FSR) and other backroads connect to Chilliwack Lake Rd. Elk-Thurston Trail – via Prest Rd (Exit 123) or Vedder Rd to Ryder Lake Rd and Chilliwack Bench FSR. This also provides access to Chipmunk Ck & Foley Ck areas. Jones Lake area & Lucky Four Mine Trail – via Exit 153 on Hwy 1 and follow signs to Jones Lake. Silver Skagit Rd & Ross Lake Campground – via Exit 168 on Hwy 1. From Hwy 1 follow paved road S – turn SW onto signed Silver Skagit Rd. Go to our FREE DOWNLOADS page to download road logs for Chilliwack Lake Road, Silver Skagit Road and the various Chilliwack Forest Service Roads. See the Chilliwack hiking trail maps for access info to each trail in this area. 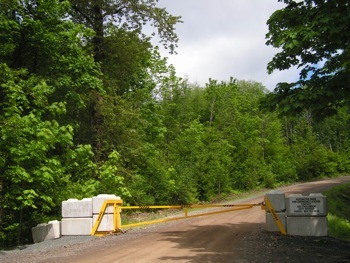 An assortment of paved roads, 2WD gravel roads, 2WDHC roads and 2WDHC roads give access to the Chilliwack trails. 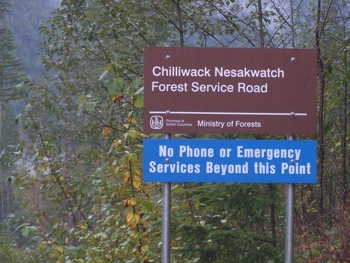 The Chilliwack road maps show the type of road conditions to expect, which determines the type of vehicle required for accessing each trailhead. Trailhead locations are shown on the maps. Also, GPS coordinates are given for each trailhead. Some trailheads are signed, and others are not. There is some parking available at each trailhead. Go to our FREE DOWNLOADS page to download road logs for Chilliwack Lake Road, Silver Skagit Road and the various Forest Service Roads. These road logs indicate trailhead and gate locations.